Car shopping in the Long Island, NY area? 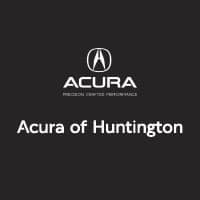 Look no further than Acura of Huntington in Huntington Station, NY. We have a wide variety of models in stock, from the popular 2019 Acura RDX to the fan favorite the 2019 Acura TLX. Our sales and finance teams are standing by to get you behind the wheel of the model that best suits your budget and driving needs, and we always have rotating vehicle specials to make the car-buying process that much less stressful. Stay safe behind a new Acura model with AcuraWatch™! At Acura of Huntington, we want to ensure you get behind the wheel of the model that’s right for you. When you’re ready to take your Long Island, NY commute to the next level, stop by our dealership near Bayshore, NY to check out both our new and used inventories, and remember that you can get your car serviced, and purchase parts at our Service and Parts Centers! Contact us today!